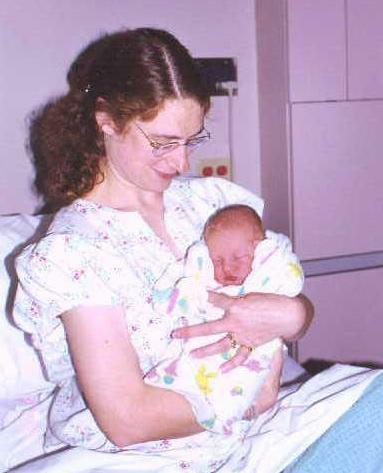 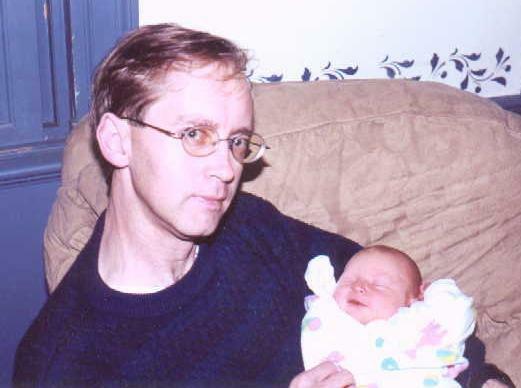 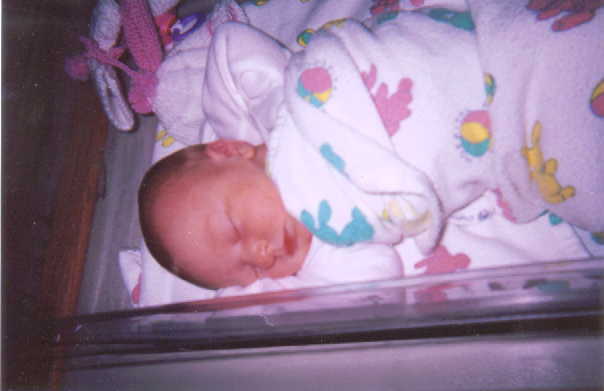 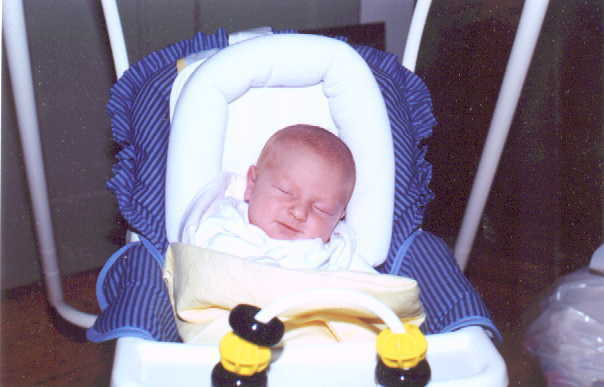 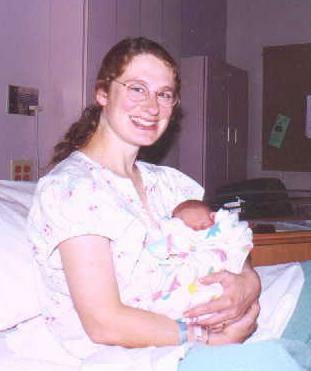 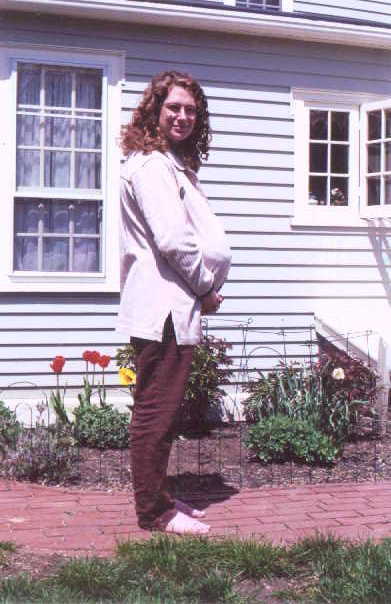 Wednesday, May 10th, 2000: Emma, happily sleeping. 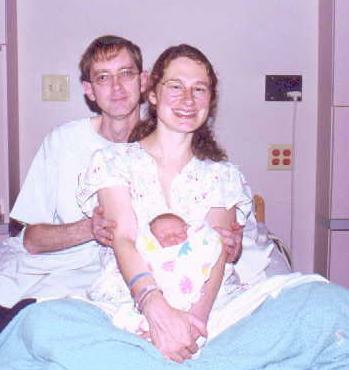 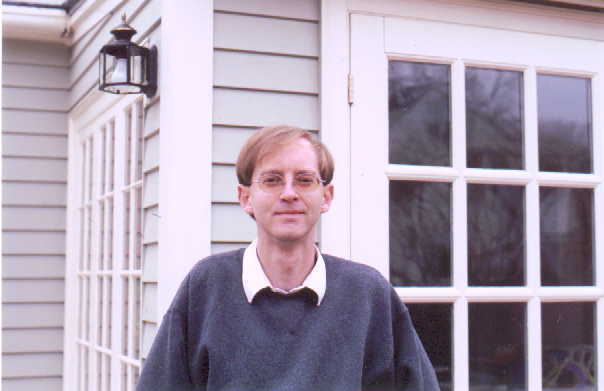 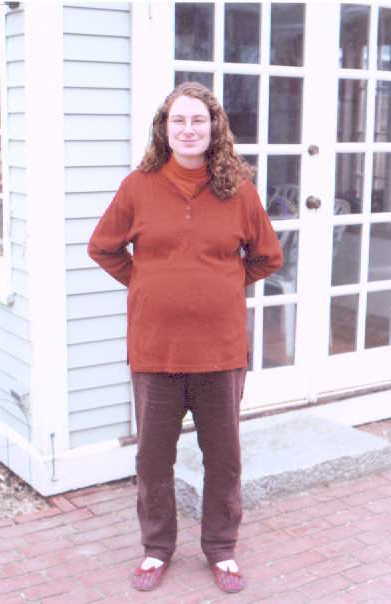 Wednesday/Thursday, May 3rd/4th, 2000: The new parents! 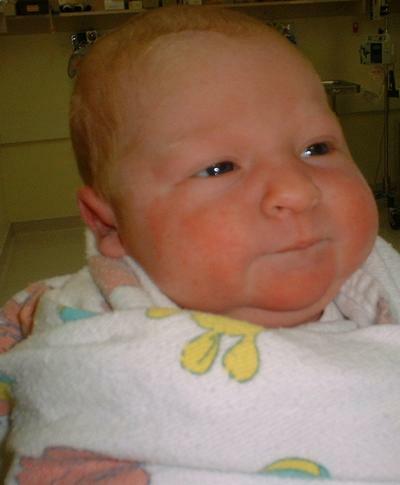 Emma Janette arrived into the world. 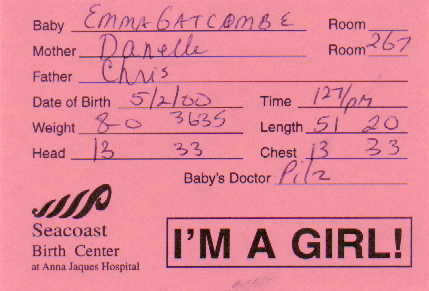 Emma was born at 1:27PM Eastern USA time, weighing 8 pounds exactly. 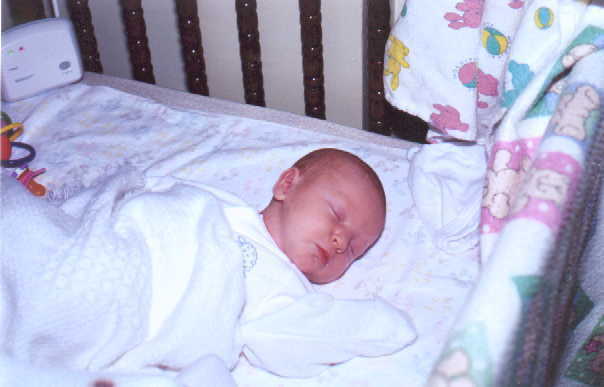 We had a third ultrasound, a level 2 ultrasound, for the purpose of detecting abnormalities. 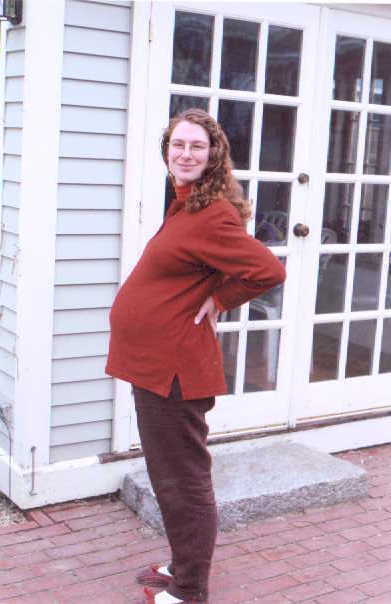 We decided not to go the full route of having an amniocentesis. 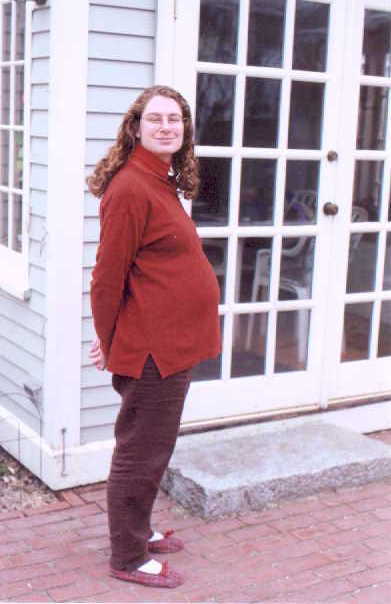 Here's a picture of our baby at 18 weeks. 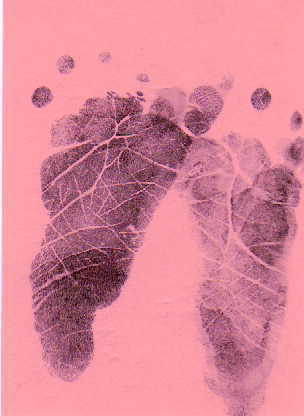 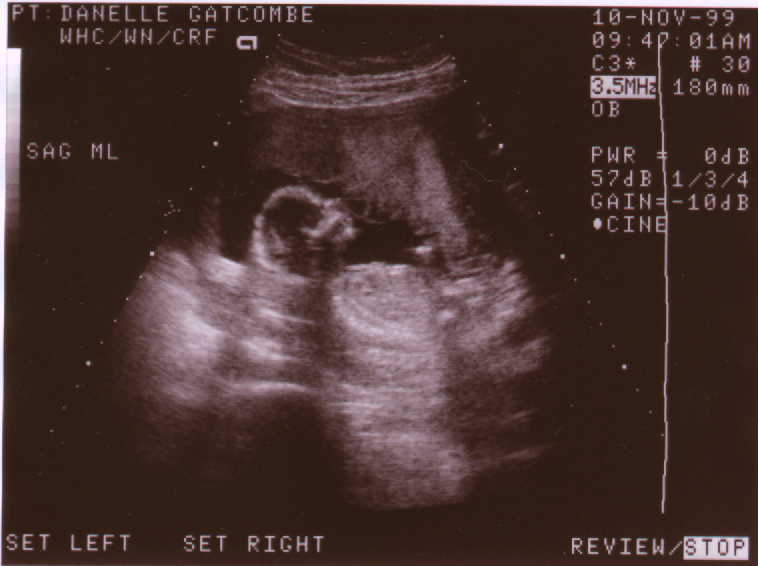 We had the second of the ultrasound scans and saw a recognisable image of an active little person. 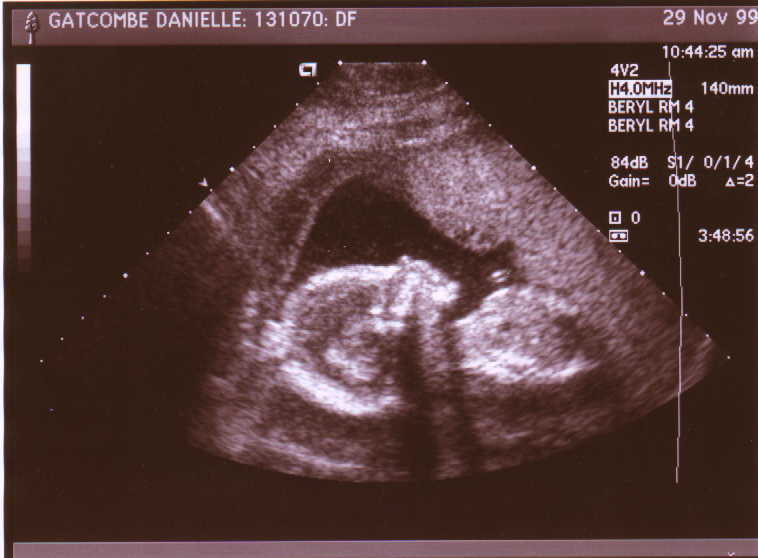 This is the best picture we have, and it shows a lovely profile of our baby at 15 weeks.